Security Solutions International™ prides itself for its know-how in the Homeland Security sector, and for its contributions to the know-how of our First Responders. Our products division, the most recent arrival in the SSI™ family, is based on the mission to find or design useful products for both First Responders and families to protect themselves against an increasing array of threat situations. SSI™ products are dedicated to security in the widest sense of the word. 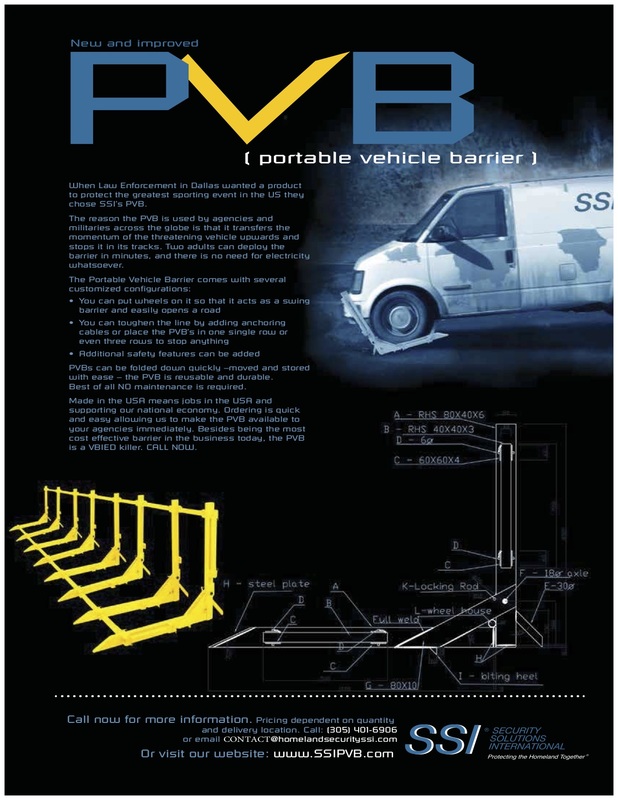 The first offering is the Portable Vehicle Barrier, now enthusiastically being purchased by stadiums, police departments, ports and other jurisdictions. In 2012, SSI™ will introduce the first consumer product aimed at this sector. With patents and proprietary technologies as a goal, the future of SSI™ products is assured.